I tried a complete clean and rebuild. I even tried scorching my workspace but the error would not go away. I read that it might be a problem with Visual Studio extensions so I disabled all my extensions, but no luck. 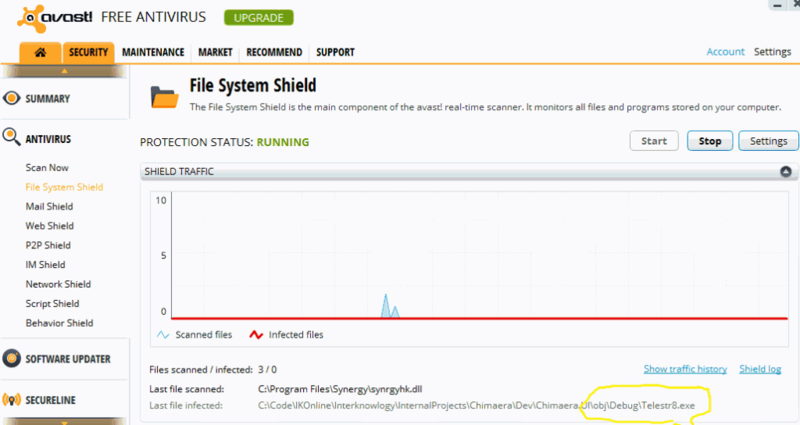 It turns out that Avast anti-virus thought my program was suspicious and was quarantining it during the build process. Adding an exclusion for my entire source tree solved this issue. Next time, I’ll discuss how to solve the issue when installing this same application. That was it! I can’t find how to add exclusion for folder in Avast (I have different language and different interface than is used in examples on the internet) so turning off Avast do it for me. Thanks.